This book serves as a security practitioner's guide to today's most crucial issues in cyber security and IT infrastructure. It offers in-depth coverage of theory, technology, and practice as they relate to established technologies as well as recent advancements. It explores practical solutions to a wide range of cyber-physical and IT infrastructure protection issues. Composed of 11 chapters contributed by leading experts in their fields, this highly useful book covers disaster recovery, biometrics, homeland security, cyber warfare, cyber security, national infrastructure security, access controls, vulnerability assessments and audits, cryptography, and operational and organizational security, as well as an extensive glossary of security terms and acronyms. Written with instructors and students in mind, this book includes methods of analysis and problem-solving techniques through hands-on exercises and worked examples as well as questions and answers and the ability to implement practical solutions through real-life case studies. For example, the new format includes the following pedagogical elements: checklists throughout each chapter to gauge understanding; chapter Review Questions/Exercises and Case Studies; and, ancillaries: Solutions Manual; slide package; and figure files. This format will be attractive to universities and career schools as well as federal and state agencies, corporate security training programs, ASIS certification, and more. 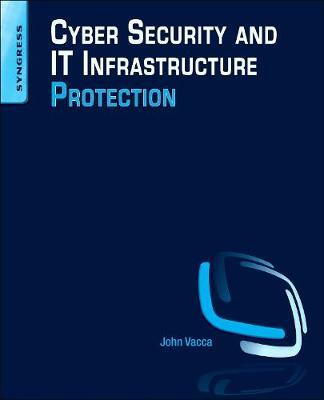 It includes chapters by leaders in the field on theory and practice of cyber security and IT infrastructure protection, allowing the reader to develop a new level of technical expertise. It offers comprehensive and up-to-date coverage of cyber security issues that allows the reader to remain current and fully informed from multiple viewpoints. It presents methods of analysis and problem-solving techniques, enhancing the reader's grasp of the material and ability to implement practical solutions.